A mixed terrain. 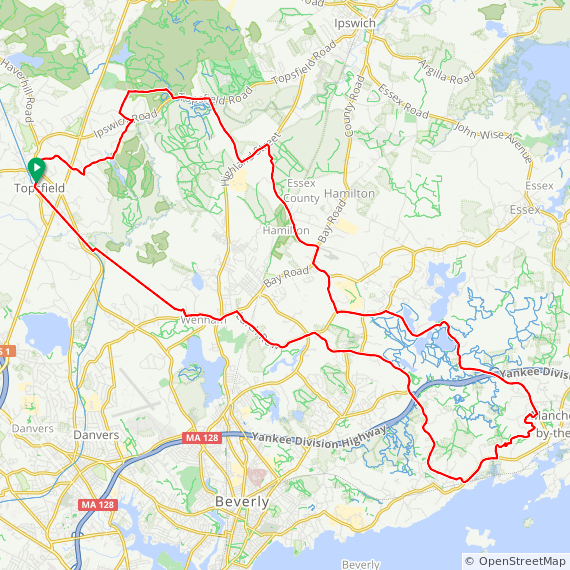 Short ride features about 8 miles of gravel/dirt roads and part of the Topsfield Linear Common bike trail. Most of the non paved sections are easy gravel and flat. There is one section in Manchester that is steep and loose for 100 yards or so. 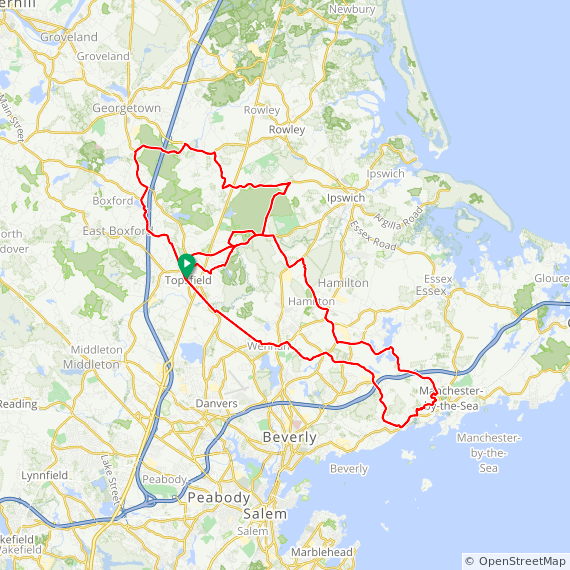 Long ride continues along the Topsfield Linear Common into Boxford, Pingree Farm Rd in Georgetown, paved roads through Ipswich, and then a 2 mile stretch of gravel/single track in Willowdale State Forest before finishing back at the school. Total gravel of 12-14 miles on the 43 mile ride. Cross/gravel bikes are suggested with tires greater than 32 mm. Narrower tires will work but you may be more prone to flats and the section in Willowdale would be tough. Mountain bikes are fine, just slow on the paved sections. I have made cue sheets that can be printed and I will have them at the ride start. Do not use the RWGPS cue sheet. It did not generate an accurate cue sheet.